Welcome to this week’s installment of Tasty Tuesday! It is my absolute pleasure to announce La Stella Wood Fired Grill as our featured restaurant of the week. With Small Business Saturday around the corner, it is only right that we cover the newest locally owned place on Hillsborough Street. 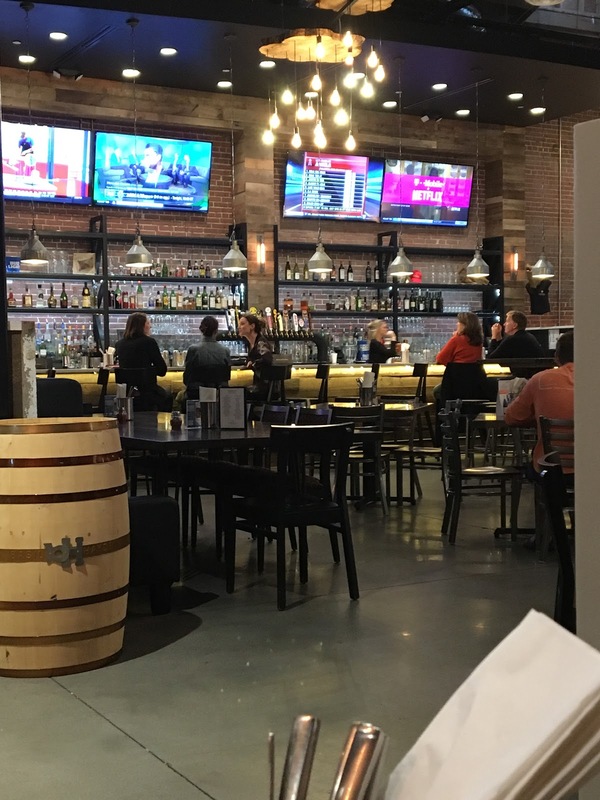 This local joint has the look and feel of a big business with the spirit of a small business. Maybe most importantly, as shown through the beautiful NC State inspired artwork plastered amongst the walls, they Back the Pack. Being a student at the University, the supportive artwork and numerous amounts of televisions tuned into sports channels were some of the first things I noticed about the well decorated restaurant. La Stella has a very unique ambiance, the lighting along the bar, the walls covered with artwork, the open floor plan; all allow for the rustic, chic restaurant to create a comfortable environment. 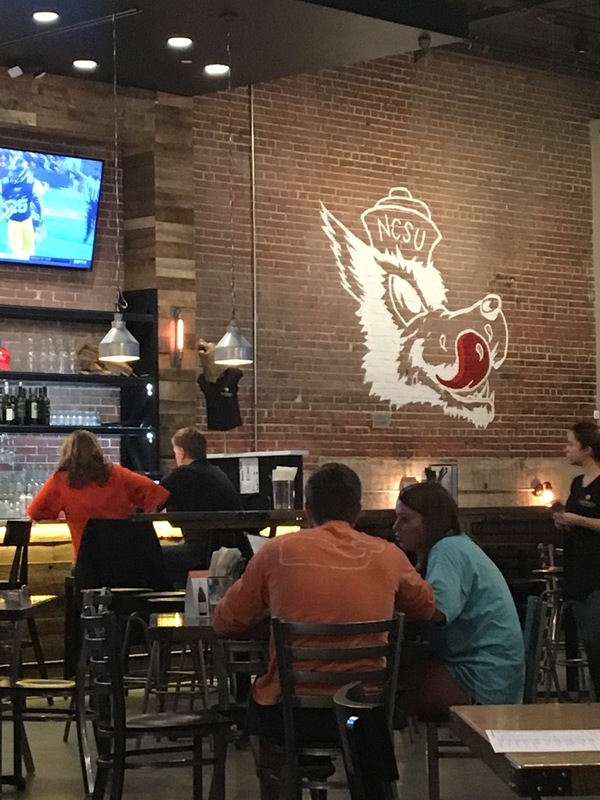 I could definitely imagine sitting at the bar drinking and laughing while watching some NC State sporting event on one of the TVs...maybe next visit! This was my first time visiting La Stella, as it is a fairly new restaurant. Upon seating, I was greeted by a very friendly, attentive waitress who was excited to inform me that the restaurant only cooks using only their wood fired grill, meaning no fried foods! I was very excited to hear about this because grilling is healthier, right? I don’t know if that is entirely true, but it has a healthier feel to it! Anyways, it took me a few minutes to decide wanted I to eat, as there are so many options. From veggie and bread appetizers to personalized salads, wood fired wings, and so many varieties of pizzas, I was in heaven! 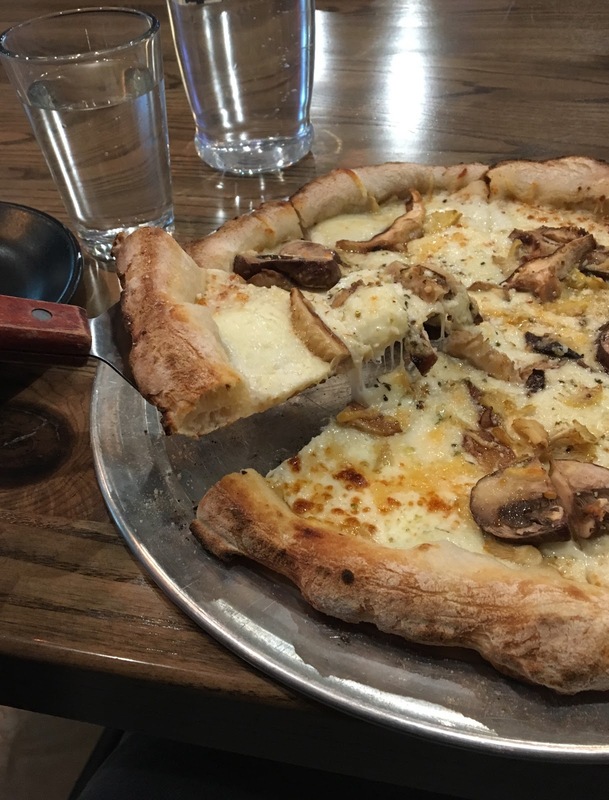 Finally, I decided on The Shroomer, a delicious, handmade pizza topped with fontina-mozzarella blend, bufala mozzarella blend, mushroom medley, and parmigiano reggiano. Needless to say it was absolutely delicious. While this 10” came with a high price of $16, it was well worth it. I was very full and still had some slices to pack in my to-go box. 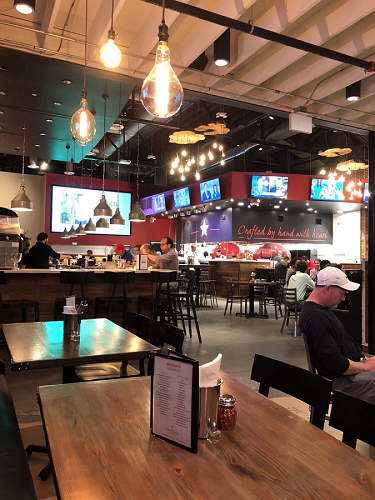 As a college student, balling on a budget, La Stella Wood Fired Grill is more of an event or experience, than a regular everyday thing, but there is absolutely nothing wrong with that. As for lunch, La Stella has very affordable lunch specials from 11:00 a.m. to 3:00 p.m. For only $9.95, you can indulge in any individual sized, one topping pizza, customized salad, puccia sandwiches, nachos, or a small order of wings, with a drink included. 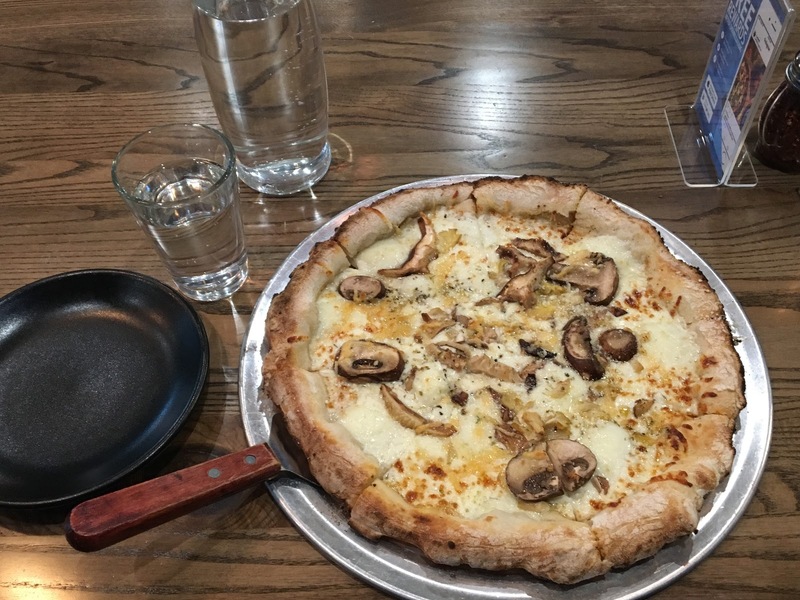 If you are looking for a delicious date night experience, a place to drink and watch the game, or a contemporary pizza restaurant, La Stella is a must go! 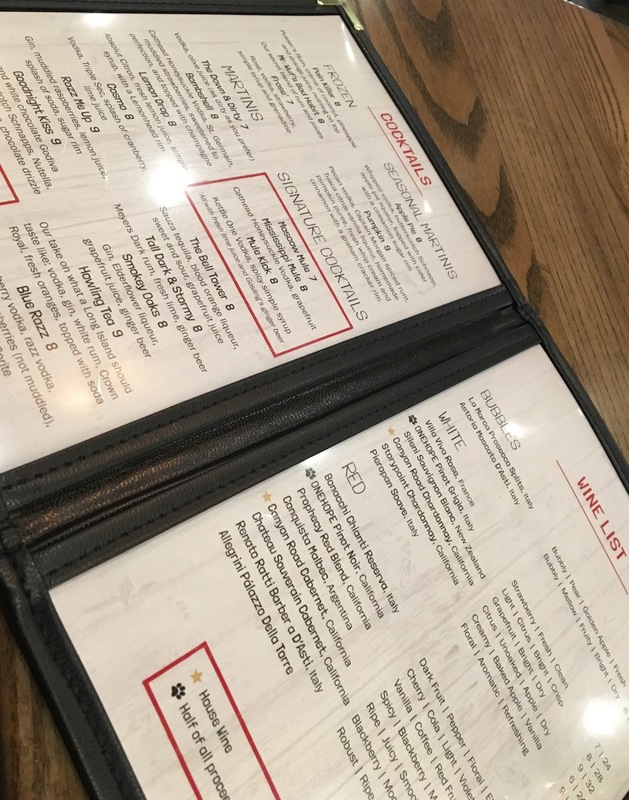 Conveniently located at 2420 Hillsborough Street, in the old Varsity Theatre space across from NC State University’s library, La Stella offers complimentary valet parking and late hours for those looking for a mid-night meal. Monday: 11:00 a.m.. - 12:00 a.m.
Tuesday: 11:00 a.m. - 12:00 a.m.
Wednesday: 11:00 a.m. - 12:00 a.m.
Thursday: 11:00 a.m. - 2:00 a.m.